Packed with professional tips and expert instruction, Beginning Drawing is the perfect book for anyone desiring to learn and master the art of drawing. Discover and master the fundamentals of drawing with professional tips and expert instruction. Designed especially for aspiring artists, Beginning Drawing, the third title in Walter Foster's new Portfolio series, offers a well-rounded introduction to the art of basic drawing. In this concept-and technique-driven approach, beginning artists will discover the fundamentals of the craft and how to put those skills into practice for creating realistic works of art. From selecting and working with the tools of the trade to learning a range of basic techniques, Beginning Drawing provides a thorough, easily digestible overview of key drawing concepts, including lighting, shading, shadows, perspective, texture, and composition, and then demonstrates how these techniques intersect, both functionally and creatively, in a wider context within a complete piece of art. Step-by-step lessons encourage practice, focusing readers on the methods and techniques designed to enhance their overall skill level, before graduating on to more subject-specific works. 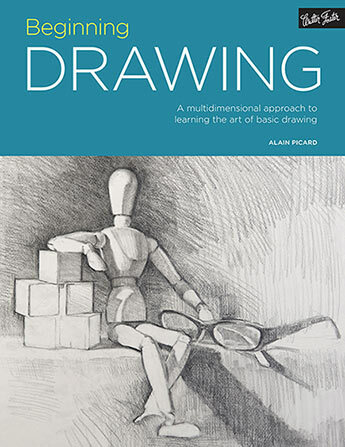 Packed with professional tips and expert instruction, Beginning Drawing is the perfect book for anyone desiring to learn, and ultimately master, the art of drawing.